Today (March 13) at London Book Fair, a session at 4:15 p.m. in the Buzz Theatre called “Coding for Publishers” will introduce attendees to one of the UK’s most passionate advocates for tech-savvy publishing: Emma Barnes. 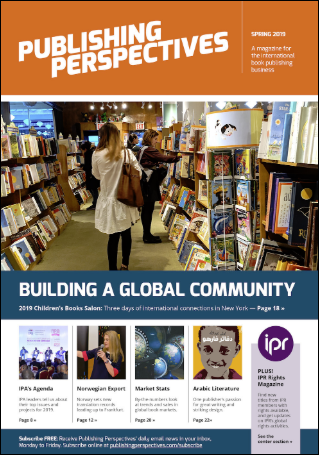 The serial entrepreneur behind the independent press Snowbooks and the publishing workflow platform Consonance, Barnes will have three of her colleagues with her: programmer Andy Pearson, full stack developer Sara O’Connor, and technical product director David Aldridge. 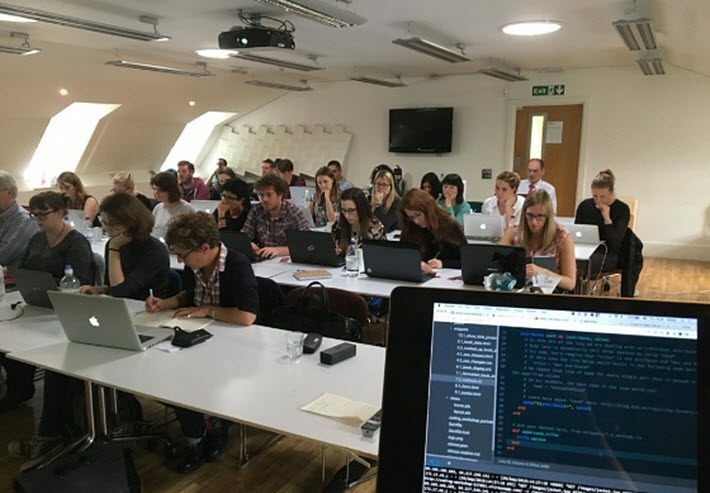 The session is designed as a “friendly taster session,” a non-threatening and engaging introduction to coding for publishing folks at any level of the business. 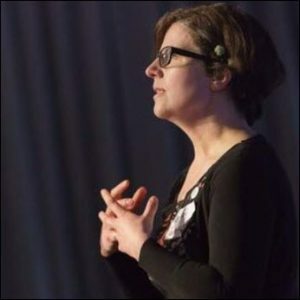 Barnes herself was drawn to her role as a publishing code evangelist, she says, finding that “The buzz of coding intensified for me as I got better at it. I’ve been lucky enough in life to discover several pastimes which seem to make time stand still, but none of them matches coding for its achievement highs, its need for pureness of concentration, its excruciating, frustrating, infuriating, brilliant challenge. If ‘tech’ is the new literacy, then coding—the act of creating a new computer program—is the new reading and writing and you don’t want to be the one left behind in your company. Barnes, who also has created a platform that schools can use to publish, Make Our Book, says the session on Tuesday is a “come and have a go at coding” event aimed at absolute beginners who work in any department, in any size publishing house. Anyone there will be invited to join in with the coding alongside the presenters, on their phones or laptops or—Barnes promises—just sit at the back and watch. No one will bother you, she says. All she asks is that you have a real desire to find out a bit more about coding. Barnes graduated in 1996 with a degree in archaeology and got a well-paid job as a management trainee. She rocketed up the corporate ladder, getting promoted and joining a prestigious management consultancy until she realized that writing PowerPoint slides for 16 hours a day was not what she enjoyed. Instead, she says, she co-founded a book publishing company called Snowbooks in 2003 with her best friend. She reasoned that if Snowbooks failed, she’d have to get another awful job like the one she was stuck in. Then in 2010 Barnes had “the year from hell” when personal and business disaster struck her. She had already promised herself that one day she’d learn to code—and now she had the opportunity. Her best friend had recommended Michael Hartl’s Ruby on Rails Tutorial (Addison-Wesley Professional) as a gentle but thorough introduction to the web development framework Ruby on Rails. Sitting on the sofa with the book, laptop, and a cup of tea would prove to be the perfect therapy for her. The code she went on to write would first help her organize the data that she’d gathered from Snowbooks and then quickly morphed into the award-winning and “business critical” application she named Consonance. Two years after she wrote her first line of code, she had something that other publishers wanted to buy. Barnes has led many sessions like this up and down the country in the last few years. Her passion for getting publishers busy coding comes from her desire, she says, to empower those working in the industry—and is fueled by what she describes as fears for the future of the industry. “As an industry,” Barnes says, “we’re running the risk of limiting ourselves to being middlemen. We often don’t write the books, or proofread them, or typeset them, or take the photos, or draw the illustrations, or create the ebooks, or code the apps, or print the things, or store or ship the books ourselves. Still, it’s at the individual level that coding is most important. “Do you want to bet that there’ll be the same sort of jobs in 15 years as now?” she asks. “Many jobs in publishing, from production control and marketing assistants to managing editors and typesetters, can be automated. The graduating class of 2023 has been taught programming at school since they were 5 years old. 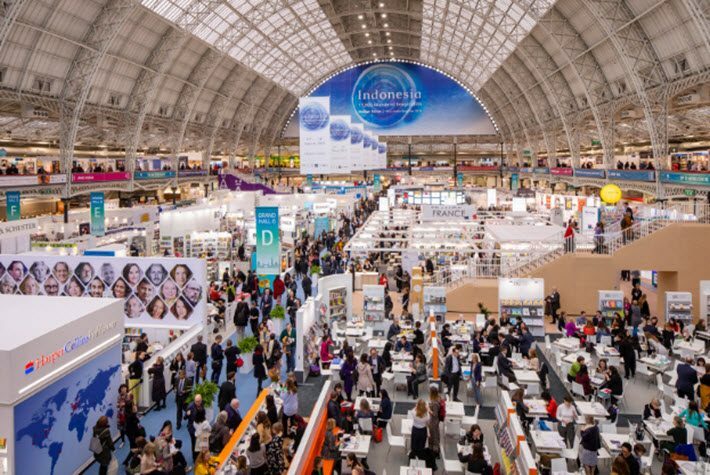 A version of this story appears in our Spring Magazine, which is ready for your free download during the London Book Fair—where you’ll find the print edition available, also free of charge.